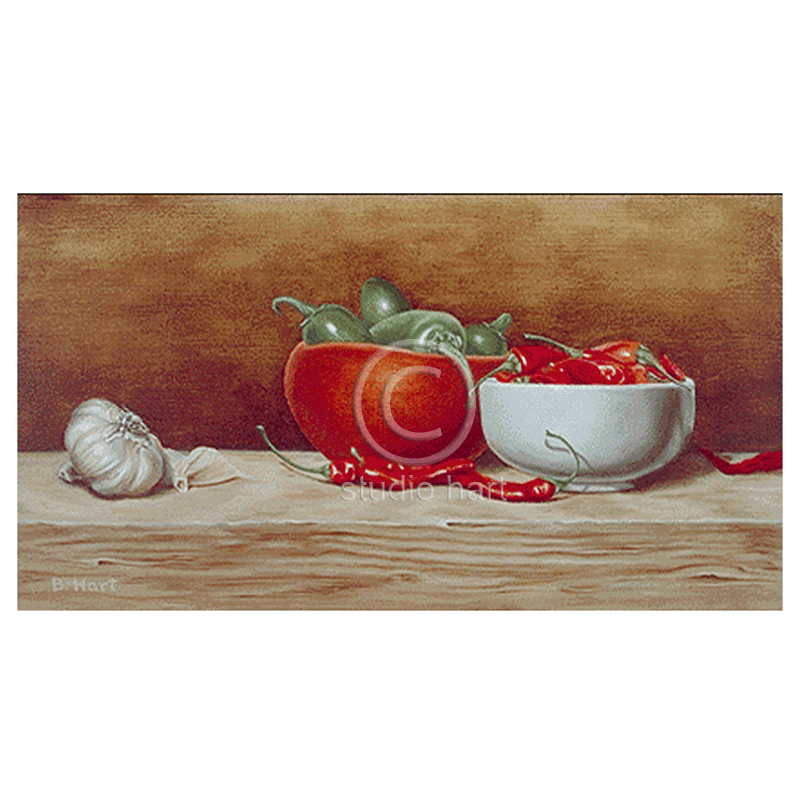 If you’ve looked through many of my paintings, you can probably deduce that I’m somewhat of a chili fanatic. I also love to paint food. This painting and Olive Bowl w/ Chilis were two of my first still lifes and sold as a pair. Wouldn’t both of these look great in your kitchen? Size: Image 6×11″. Paper size 8×13″.